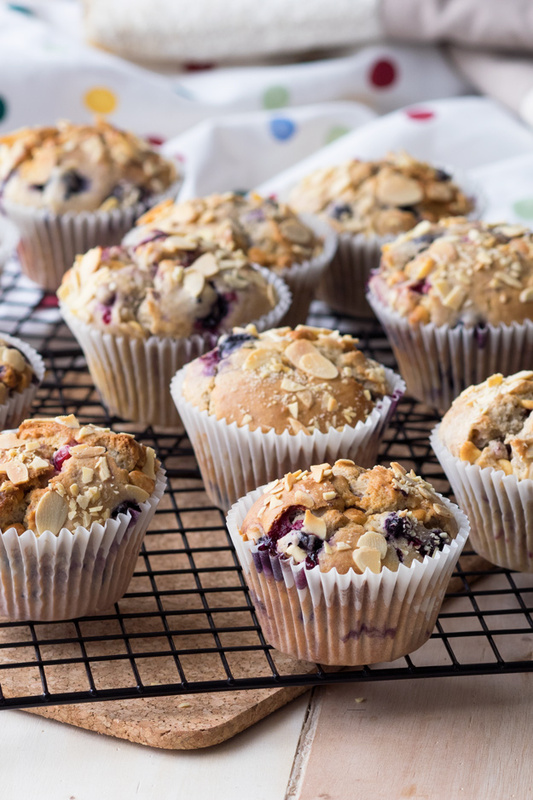 These Berry White Chocolate Muffins have everything to make them muffin winners – a perfect little dome, soft and buttery texture, sweetness (but not too sweet) from the fruit and chocolate chips, and a nice crunch on the coveted muffin top! Give them a try and you’ll love them. 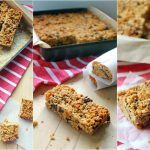 It’s super easy to double the recipe so you have extras to share. 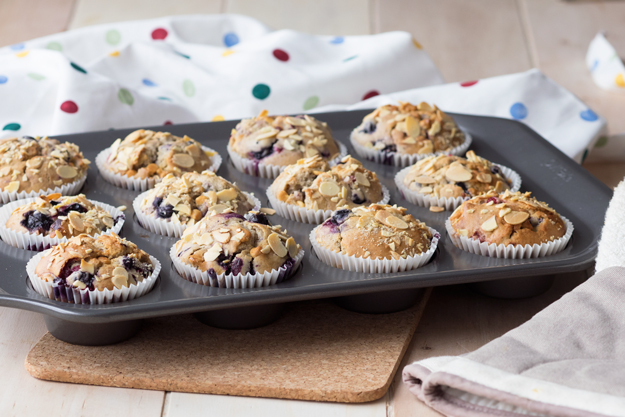 Do you want to try one of these scrumptious Berry White Chocolate Muffins? You definitely can, and I’d love to make them for you! Every so often, I host pop-up brunches at our home and invite 8 guests to dine in our flat. To prepare for my next one, I’ve been busy developing new items for the menu, including the first course – muffins! These winners confidently took the spot, and will be proudly sitting on the muffin platter that morning. While I’m making and serving the pour-over coffee on the kitchen worktop, these Berry White Chocolate Muffins will be free for grabs on the side. 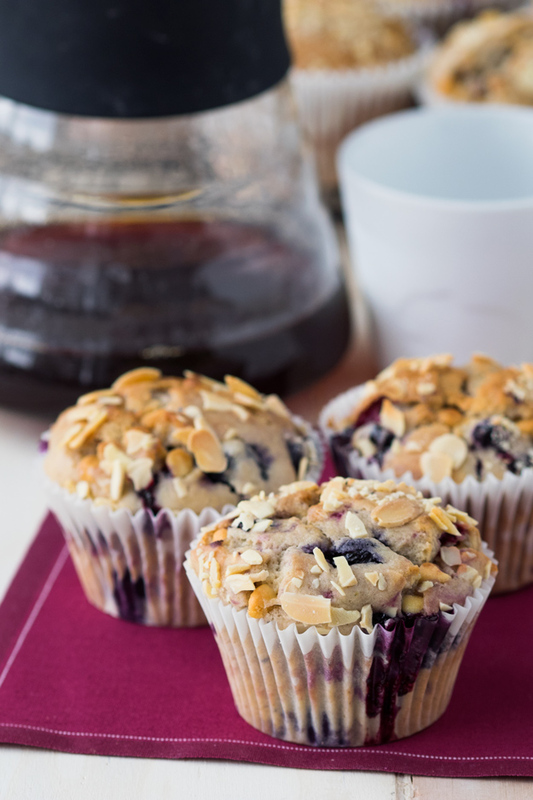 Who doesn’t like a scrumptious muffin in one hand and a freshly brewed cup of joe in the other? 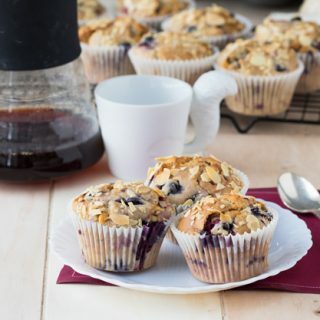 The white chocolate chips in these muffins tend to blend in because of their color, but when you get a bite of one, it’s a little surprise that will keep you searching for more. The blueberries are sweet, and the addition of red currants add a tiny bit of tang. 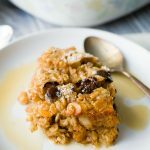 The almonds on top give crunch and texture, as well as a nutty aroma when they are hot from the oven. 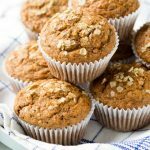 These have everything to make them muffin winners – a perfect little dome, soft and buttery texture, sweetness (but not too sweet) from the fruit and chocolate chips, and a nice crunch on the coveted muffin top. 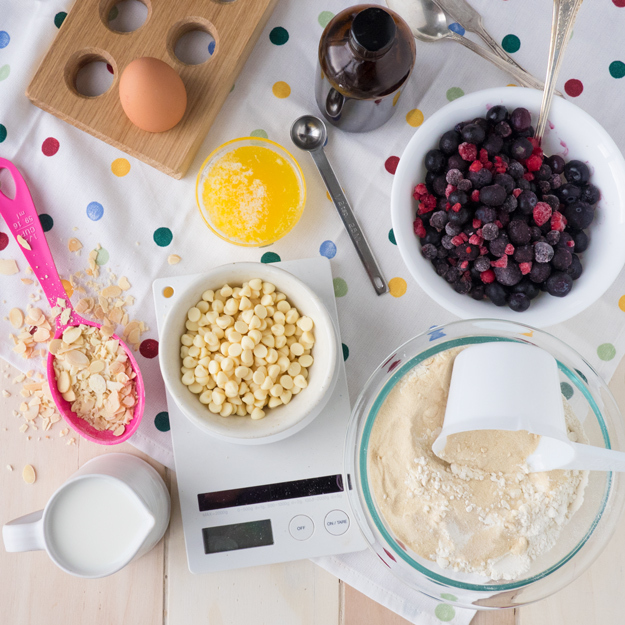 I’m excited to be serving these Berry White Chocolate Muffins soon, and can’t wait to share them with you. 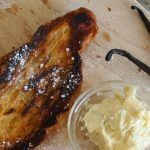 The all-purpose flour and unrefined golden caster sugar were provided by Baking Mad. I don’t know the Muffin Man, but I know the Muffin Woman! Ugh, are you saying that because I’m starting to get a muffin top from I’m eating too many of these? 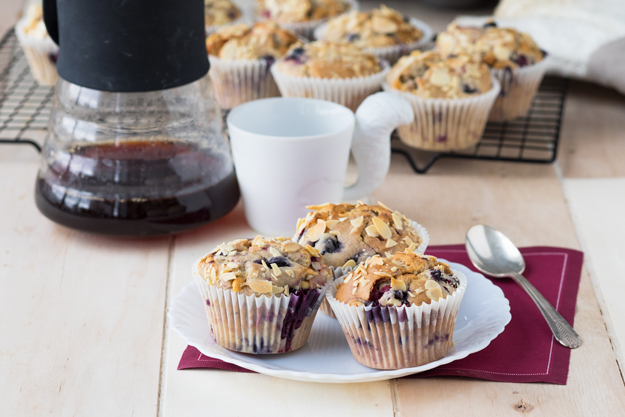 Pop-up brunch sounds so great and your muffins would be my first choice! 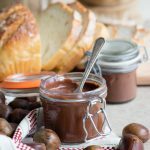 I love a sweet breakfast so for me, they are just perfect! 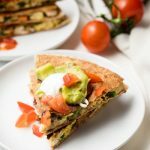 Pop-up brunches are so much fun to throw — do let me know if you do, I’d love to hear about it!